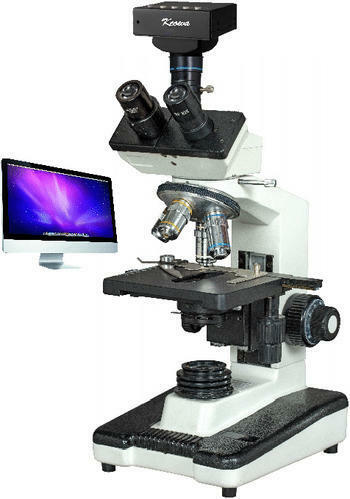 Incorporates all the features of an international microscopes for professionals. Ideally recommended for routine as well as research work. High resolution Digital CCD camera with adopter & 16" coloured monitor.We are suppliers of CCTV Microscopes. Focusable Abbe two lens type condenser NA 1.25 fitted with iris diaphragm and swing out filter holder with blue filter moving up and down through rack and pinion mechanism.